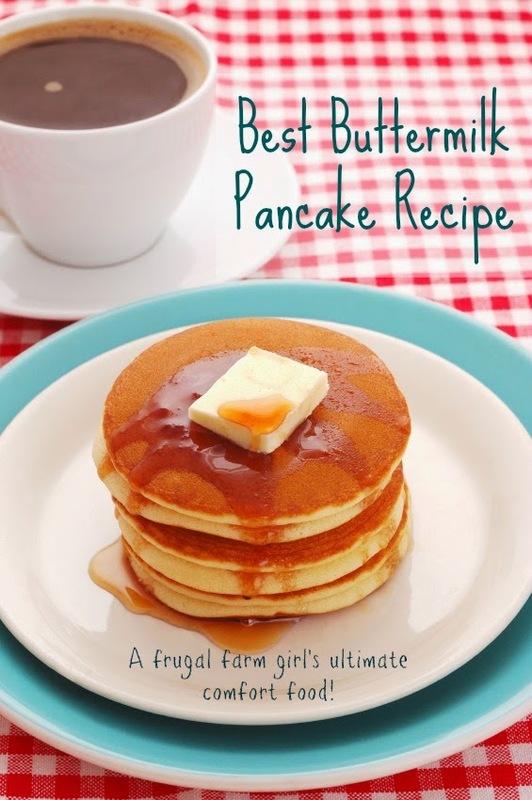 Buttermilk pancakes from scratch: A frugal farm girl's ultimate comfort food. When I was growing up on our farm, my parents were total and complete health nuts. They always added stuff to our food like wheat germ, bran, and sprouts. What twelve-year-old likes that stuff! Let me diverge for a moment: My parents' idea of a sandwich was what they called a super-sandwich. These babies were loaded with avocado, mushrooms, sprouts, and every other vegetable imaginable. Do you know what it's like to gag on food? Well, super sandwiches made me gag every single time my parents made me eat one. I was always the last one at the table gagging down my sandwich so I could join the family for dessert! But then there was Saturday morning, when Dad, in spite of all that herbal-gerbal stuff he practiced, would make our family buttermilk pancakes from scratch. He'd heat the jar of real syrup in a pan of water on the stove, and my sisters and I would revel in a morning of un-defiled pancake and syrup bliss. Now, as an adult, I've come to appreciate not only the self-sufficient way my parents tried to live, but also their health food practices. 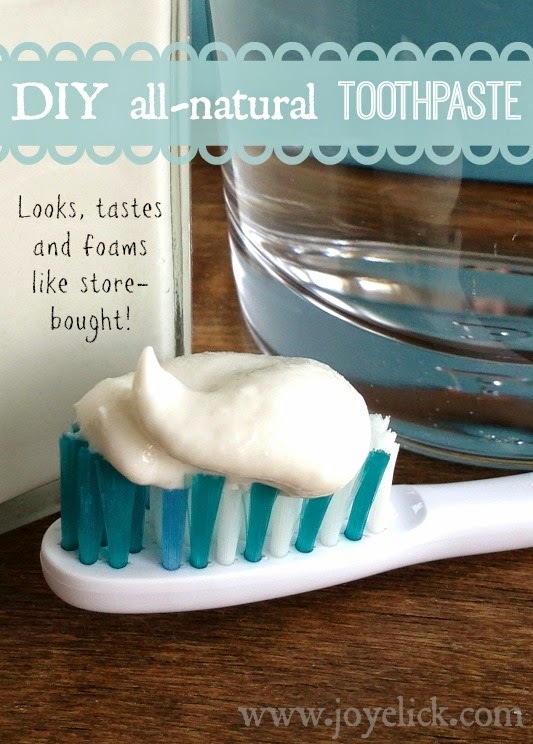 (I've even been known to slip my family healthy add-ons more often than they realize!) Yet, buttermilk pancakes are still a ritual around here. That's because pancakes are a fun occasional treat that are not only a delicious comfort food, but easy on the food bill. Enjoy them for breakfast, then freeze the remaining ones layered between parchment paper and sealed in an air-tight container. Now you have pancakes that can be heated in the toaster on a school morning. Or heat them and spread them with jam and peanut-butter for your kids' lunches when you're out of bread. 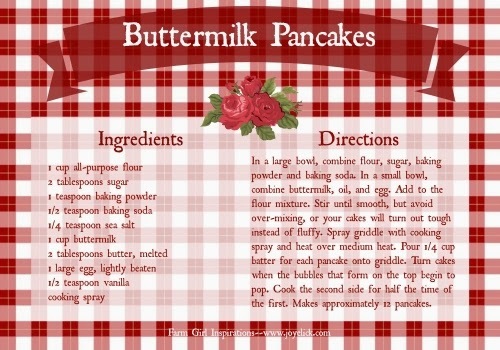 Every frugal farm girl needs a buttermilk pancake recipe tucked in her apron pocket. Today, I'd like to share mine with you. (FRUGAL TIP: I buy most of my baking supplies in bulk at Costco. 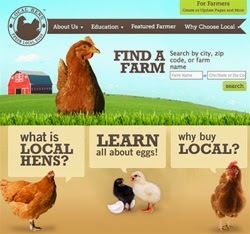 I've found they are the best priced and I can often find organic and GMO free for a very affordable price). STEP 1: In a large bowl, combine flour, sugar, baking powder and baking soda. Make a depression in the center of the mixture. STEP 2: In a small bowl, combine buttermilk, oil, and egg. Add to the flour mixture and stir until smooth, but avoid over-mixing, or your cakes will turn out tough instead of fluffy. Only stir until there are no lumps of flour. STEP 3: Lightly spray griddle or frying pan with cooking spray and heat over medium heat. When the griddle or pan is hot, pour approximately 1/4 cup batter for each pancake. Turn the cakes when the bubbles that form on the top are just beginning to pop. Cook the second side for half the time of the first. Place finished pancakes on a tray in a warm oven to keep them hot until serving time. Now it's time for some pancake bliss! SOMETHING TO TRY: Check out my post on how to make homemade strawberry syrup. If strawberries are out of season, just substitute another in-season berry, like raspberries or blackberries. (I have oodles of blackberries coming on at my farm, so I'll be making a ton of blackberry syrup this month!) I'm willing to wager that your kids will like this homemade syrup way better than that imitation maple stuff from the store. Thanks for the recipe! The cooking tips are great too. My honey loves pancakes. I have a fantastic recipe for gingerbread pancakes I'll have to dig up for you to try.